An explanation of each of these points is provided below along with an overview of other key beliefs of our Church. That the King James Bible is the preserved Word of God for the English speaking people, by virtue of a superior base text, and a proper translation method, and that said translation was guided (although not newly inspired) by God. That the Bible should be read and understood literally except where it plainly indicates a parable, illustration, or analogy. This begins with the creation account as six literal days, and ends with the warning about adding to or taking away from the very words of God’s prophecy, these both being literal statements. That the church is a local organised body of baptised believers called out of the world and commissioned to preach the Gospel to every Creature. WP-Bible plugin) is given freely to all men. That salvation is eternal life (without end) in the presence of God, forever forgiven and without any possibility of being plucked from our Father’s hand. Each local church should be directed only by the written Word of God and not ruled over by any authority other than its head and Lord, Jesus Christ. There can be fellowship with like-minded churches, but not formal association and no hierarchy. There is no necessity for any man to come to another man to reach God. The Local Church does not have the authority to rule and direct any man’s life and choices. The Pastor does not have the authority to rule and direct any man’s life and choices. Baptism is only by full immersion (picturing the death and resurrection of Christ) and under the authority of the local church. Baptism by sprinkling is not found in the Bible. 26 And as they were eating, Jesus took bread, and blessed it, and brake it, and gave it to the disciples, and said, Take, eat; this is my body. blessed it: many Greek copies have gave thanks 27 And he took the cup, and gave thanks, and gave it to them, saying, Drink ye all of it; 28 For this is my blood of the new testament, which is shed for many for the remission of sins. The elements are unleavened bread and un-fermented grape juice, and represent the sinless body and blood of Jesus. As the Lord’s Supper is a local church ordinance, it is to be kept by and within the local church (closed communion). The Local Church should not as an organisation try to control the government, but should be a godly influence to Government. Any saved man regardless of place or position should aspire to live a sanctified life according to the Word of God. Our position on church practice and moral issues should be directed by the Word of God, not influenced by the opinions of the world. That God is one God, the true and almighty Creator of all things, without beginning or end, and without fault or imperfection. That God is evidenced in three, the Father, the Son, and the Holy Spirit, all three being fully God, and yet fully separate and independent. That the Father is God. Eternal, immutable (unchangable), omniscient (all knowing), and omnipotent (all powerful). It is by His death as a substitution in my place that my sin penalty was paid, enabling me by confessing with my mouth and believing in my heart that Jesus rose from the dead, to inherit eternal life. That the Holy Spirit is the third person of the Godhead, co-equal and of the same nature. His work today is to restrain sin and Satan, and as the earnest of God in the hearts of all who are saved. He also gives gifts and empowers believers, enabling them to serve the Father in such ways that glorify Him. 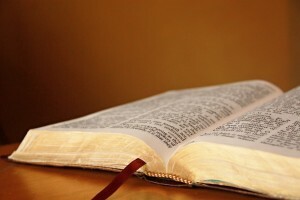 Pastor: The books of Titus and 1 Timothy are the main passages outlining the qualifications and duties of a Pastor. Whilst Bishop and Elder are legitimate and Biblical names for the position, their modern association is such that Pastor is our preferred nomenclature. The use of such terms as “Reverend” or “Father” are not appropriate or Biblical in reference to this office. The term “Priest” is not appropriate, as the New Testament Pastor is not the same office as the Old Testament Priest. A priest is a mediator, and a Pastor is a teacher and protector and guide. Deacon: A deacon is not found in all biblical references to churches, therefore we find that a deacon is not necessary for a proper church. Acts 6, whilst not using the name “Deacon”, is seen to be the blueprint for choosing and appointing Deacons. This passage outlines that a deacon is to assist the Pastor(s) in dealing with the physical requirements of ministering to the people of the local church, with the purpose of allowing the Pastor(s) to concentrate on the spiritual needs. 1 Timothy 3 includes instruction regarding Deacons. The First Book of Moses, Called Genesis 1 1 In the beginning God created the heaven and the earth. 2 And the earth was without form, and void; and darkness was upon the face of the deep. And the Spirit of God moved upon the face of the waters. 31 And God saw every thing that he had made, and, behold, it was very good. And the evening and the morning were the sixth day. And the evening...: Heb. And the evening was, and the morning was etc. WP-Bible plugin indicates that no sin in any form had been present up to and including this time. 12 How art thou fallen from heaven, O Lucifer, son of the morning! how art thou cut down to the ground, which didst weaken the nations! O Lucifer: or, O day star 13 For thou hast said in thine heart, I will ascend into heaven, I will exalt my throne above the stars of God: I will sit also upon the mount of the congregation, in the sides of the north: 14 I will ascend above the heights of the clouds; I will be like the most High. This was done in the free will of man, and brought sin into God’s physical creation. That according to Genesis chapter 2 Woman was made for man from man. God called Eve the wife of Adam, and in this chapter established His model for marriage. It is assumed that this union will have fruit of children, if the Lord allows it. That the church does not replace Israel. That although some of the eternal promises given to Israel are extended to the church, there are some promises given specifically to the nation of Israel which are yet to be fulfilled and which will be fulfilled in and to the Nation of Israel. That the “doctrines of Grace”, also known as Calvinism, are not biblically supportable, and therefore not true doctrine. Election and predestination are biblical concepts, but those who hold to the “doctrines of grace” redefine their meanings away from the biblical application. That the rapture of the saints will be prior to the beginning of the seven year tribulation. 15 For this we say unto you by the word of the Lord, that we which are alive and remain unto the coming of the Lord shall not prevent them which are asleep. prevent: or, come before, or, anticipate, or, precede 16 For the Lord himself shall descend from heaven with a shout, with the voice of the archangel, and with the trump of God: and the dead in Christ shall rise first: 17 Then we which are alive and remain shall be caught up together with them in the clouds, to meet the Lord in the air: and so shall we ever be with the Lord. WP-Bible plugin) and is vastly different to today’s tongues. This information is provided for clarity and openness about what we believe. If you have specific questions regarding any of the above please contact us for further information.